SubItUp is a web-based employee management solution for all types of business industries. It offers automated scheduling, shift and time off management, payroll processing, and more. In this article, we covered user reviews and pricing. Ready to try SubItUp? Get a free trial. Users who gave SubItUp a positive review said that the interface is simple and easy to use. They also mentioned that the templates are quick to set up and that the program supports multiple office locations. One user who gave SubItUp a positive review on Capterra said the program has really helped streamline and centralize their employee scheduling needs. She particularly likes the ease of managing multiple positions with varying schedules, as well as trading shifts. As of the date this article was written (10/23/2018), there are not a lot of negative SubItUp reviews online. However, some users said that the interface of the mobile version can be improved. One user who gave SubItUp a critical review on G2 Crowd said that the mobile version is not that easy to navigate. He also reported that the app is slow to respond at times. 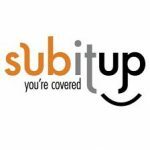 SubItUp doesn’t publish its subscription plans online. However, services from similar providers usually cost around $10 to $20 for apps with basic functionalities, while the more extensive ones cost $50 to $100 per month. Rates depend on the number of users and type of features included. Interested parties may contact their sales team to request for a customized quote. Ready to try out SubItUp? Get a free trial. Best Employee Scheduling Software Tools 2018 — We reviewed employee scheduling programs that cover the range of options for small businesses in terms of pricing, features, ease of use, mobile access by employees, integrations, and positive customer reviews. Read this article to know which one best fits your business needs. Do I need any special hardware or software to use SubItUp? No. There are no hardware or software requirements for SubItUp. You can access it from any internet browser. SubItUp’s free trial lasts for 14 days. During this time, users can fully access all of its features and product offerings. Not sure if SubItUp is the right fit for you? Read our reviews of all top employee scheduling software or check out one of these three SubItUp competitors.